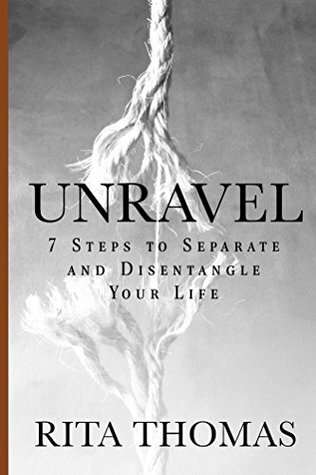 Unravel: 7 Steps to Separate and Disentangle Your Life by Rita Thomas – Books, Books and More Books! I received this book as a gift in exchange for an honest review. “Unravel: 7 steps to Separate and Disentangle Your Life” by Rita Thomas is a book about unraveling the bad habits and holds on our lives, which to be honest is a very painful and raw process. With each step she reveals stories from her own life and her walk with God and her struggles. She even includes blank templates and 7 days of sample goals to get you started on your journey. This is not the type of book I generally read but from the first page it resonated deep inside of me. Sometimes He sends you what you need before you know you need it. I hope she continues to enlighten and share her faith. The book was a joy.